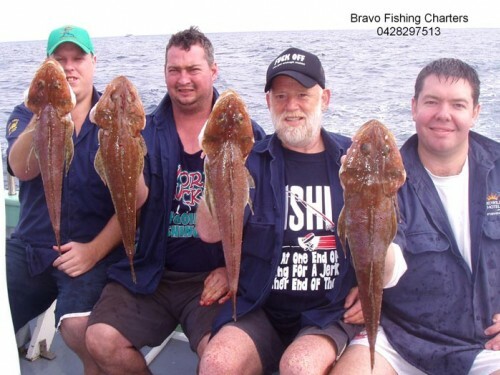 Deep Sea Fishing Charters Sydney – We offer Reef Fishing and Deep Sea fishing on Sydney reef systems with one of Australia’s most experienced crews. We have two licenced vessels in NSW to accommodate the size of your group. 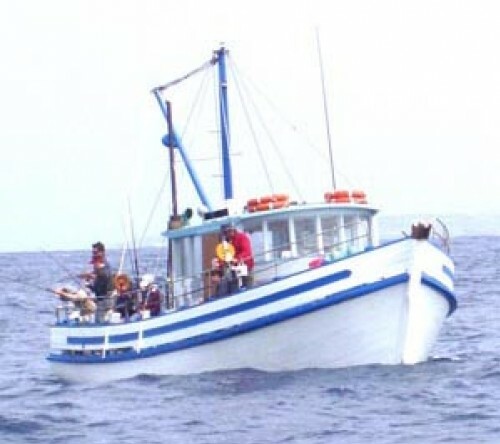 Our crew are very experienced particularly with the deep sea fishing techniques and are fully licenced. We operate from Cronulla which is in Sydney’s Southern anchorage of Port Hacking. This location provides us with very quick access to some productive deep sea fishing grounds especially off the Royal National Park. On our trips we target different species at different times of the year. Typically we target: big snapper in colder months, whilst in the warmer months flathead and trevally. We also target perch, morwong, cod and tuna. We supply all fishing tackle including rods, reels and bait. We also have deck winches are offered as an alternative. We have a deckhand on most deep sea fishing charter boat trips whose job it is to rig all the tackle, cut the bait and organise individual bait buckets. He will also clean them and pack them. All licences required are also provided. You just bring your lunch and your beers; we provide the rest. Feel free of course to bring your own gear and we will give lessons to beginners. The fish are on the reefs and sand all year so any time is a good time for this style of fishing. The area we fishing is just off the Royal National Park as the reefs, sand and gravel bottom are some of the best deep sea fishing grounds in the Sydney area. The fish targeted are – Snapper, Morwong, Perch, Trevelly, Wrasse and Flathead. We take only group bookings. When you book the vessel the charter is yours. Groups minimum 7 persons and maximum 30 persons. This is really deep water fishing, starting at about 450 meters. We target Blue Eye Cod, Bass Cod, Frost Fish Imperator, Gemfish and Giant Boar Fish. We can only offer this trip in the winter months when these species come in onto the deeper reefs to spawn. On this trip we use large Alvey Reef Queen Reels spooled with 200lb breaking strain braided line. We troll sport and game fishing gear on the way in and out and regularly capture Yellowfin Tuna and occasionally Marlin. We take Strictly Group Bookings Only. Minimum 14 anglers and maximum 16 anglers. Also we have additional crew to assist with big fish. 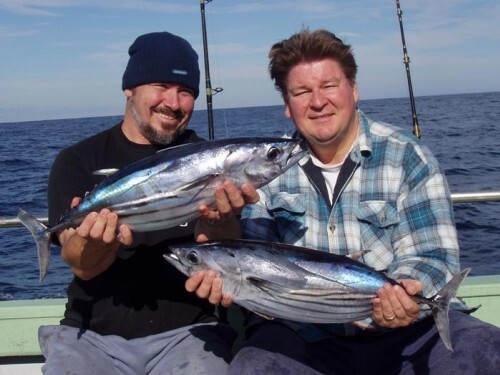 We offer the thrill of sport fishing and capturing a fast moving Tuna, Kingfish, or Dolphin fish. Also targetted are – Bonito, Striped Tuna, Mackerel, Tuna, Shark and Dolphin Fish (Mahi Mahi). We utilise our extensive knowledge of the currents temperature, breaks current, eddies and fish aggregation devices (FADs) to maximize our chances. We only take Group Bookings- minimum 7 persons and maximum 30 persons. Inclusions: Rods with Alvey Snapper reels provided for all anglers. Alvey deck winches. All other tackle provided including quality bait. Qualified deck hand. Cold storage facilities for fish catch. NSW Fishing Licence provided. The Zelda Faith II is ideal for fishing tours and was launched in 1982. It has a traditional design and is 50 foot (15 metres) long giving ample room for up to 20 anglers to fish in comfort. The aft deck is fitted with game fishing rod holders and removable rails for the landing big. Features and Equipment – GM 6V92 Detroit Diesel Main Engine, HF Marine Receiver/Transmitter Radio, Furuno Sonar, Simrad 3D Sonar, 2 VHF Marine Receiver/Transmitter Radios, JRC Radar, 27 MHZ Receiver/Transmitter Radio Simrad GPS Plotter, a total of 4 GPS systems, UHF Receiver/Transmitter Radio, Autopilot, marine toilet, Quad CD sound system. Large bait and fish cleaning table with running sea water. The vessel is fully licenced in Survey Classes 1C and 1D and also with DPI Fisheries in all licence categories. The vessel holds an exemption certificate for your fishing licence. 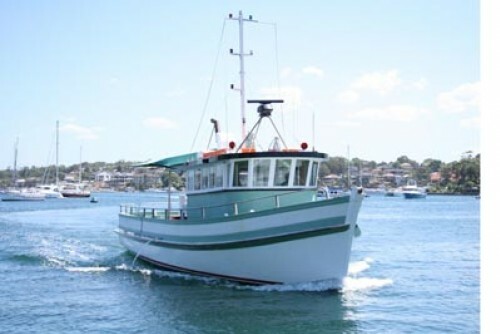 Wollomai is a purpose built 38 foot (11.3 Metre) Charter Fishing Boat and was launched at Ulladulla in 1972 and has operated from Port Hacking since. This boat is very stable and sea worthy. Facilities include rod holders,rods and reels for all anglers. Fish cleaning table with running sea water.Toilet. Woollomai is fully licenced in NSW in Survey Classes 1C and also DPI Fisheries in all licence categories. The vessel holds an exemption certificate for your fishing licence.